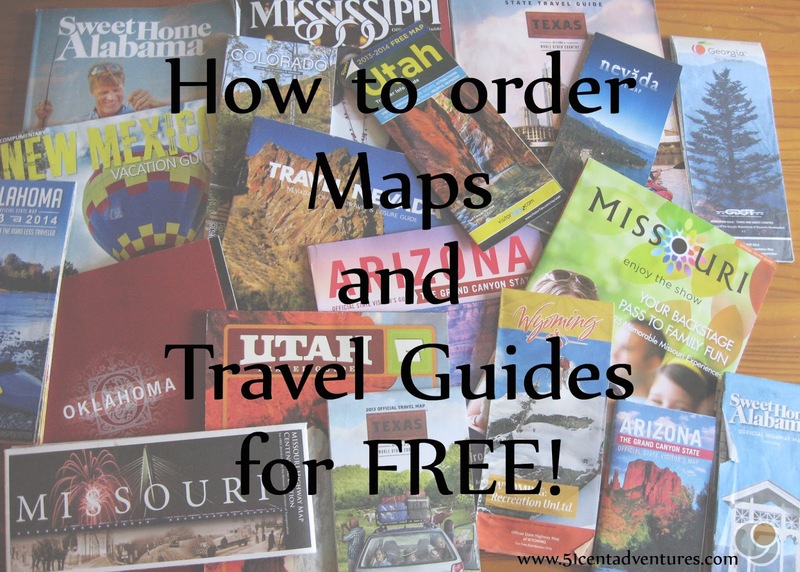 51 Cent Adventures: How to order Maps and Travel Guides for FREE! Sometimes people wonder how I know about so many places to visit. Some places I've learned about through word of mouth or through Pinterest, but I usually learn about destinations from reading about them in the guidebooks published by each state's tourism department. Tourism is a huge industry that every state depends on for income. Each state provides a free travel guide so you can see what interesting things they have to offer. I love ordering a guidebook for a state that I plan to visit. When it arrives I take an hour or so and skim through the book. I highlight things that stand out to me, and write them down in my trusty little notebook. Later I'll look those places up online to find out their cost and other details. 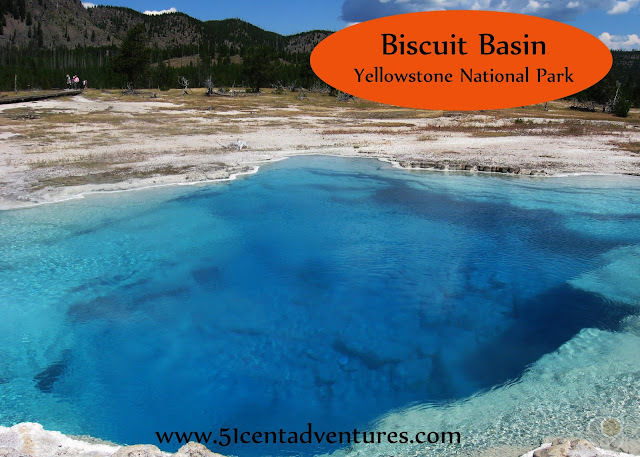 It's really easy to find the guidebook for each state online. All you have to do is search for "Free Travel Guide [State's Name]." But because I'm nice, I've gone ahead and assembled a list of all the states with links to their tourism websites. If you click on the link next to each state's name you will be taken to their tourism website where you can order a free brochure. Each website is slightly different, but you usually need to select the brochures that you want. Then you enter in your name and address and some other basic info and click submit. Some states ask if you want to receive e-mails, but you don't have to sign up for that. Most states also allow you to download the brochure immediately. That's a nice feature because sometimes it can take weeks to receive your guidebook. Many states even send you a free highway map. I know you are thinking "I'll just use my GPS." But trust me, a paper map can be very valuable. If you don't have time to wait for a guidebook and map to arrive, you can pick them up while you travel. Most states have Tourist Information Centers at rest stops or in large cities. These places will provide you with guidebooks and maps for free. The people who work in these offices are usually very knowledgeable about the area and can tell you about great places to visit. This is a list of all 50 states in alphabetical order: I hope this will help you find a great place for your next adventure. And don't forget to check out my list of things to do in each state for more ideas.